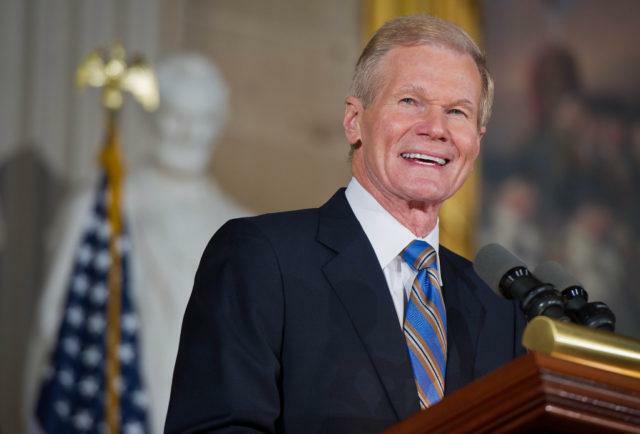 Democrat Senator Bill Nelson has claimed that Russian operatives have “penetrated” some of Florida’s voter registration systems ahead of the 2018 midterms. Nelson said something similar a day earlier in Tallahassee but did not elaborate. The Senator outlined a scenario in which Russian entities have stripped voters of their registration in order to cause disorder within American democracy. In November Nelson will square off in a re-election bid with current Florida governor Rick Scott, whose administration has insisted they have no knowledge of any meddling in state voter registration. Last month, Republican Marco Rubio joined Nelson in penning a letter to the 67 county election supervisors about potential threats, but according to the Tampa Bay Times, that letter lacked the specificity Nelson laid out this week. “We were requested by the chairman and vice chairman of the Intelligence Committee to let the supervisors of election in Florida know that the Russians are in their records,” Nelson said Wednesday. “Additionally, the Department has received no information from the U.S. Department of Homeland Security, the Federal Bureau of Investigation or the Florida Department of Law Enforcement that corroborates Senator Nelson’s statement and we have no evidence to support these claims,” her statement read. “If Senator Nelson has specific information about threats to our elections, he should share it with election officials in Florida,” Revell added. Senator Neilson’s claim sparked Pinellas County elections officials to immediately get in contact with the FBI, Homeland Security and other state and federal agencies. “Our office has not seen any indication that we have had any penetration by any bad actions,” said Pinellas election’s office spokesman Dustin Chase. Considering Nelson’s re-election bid will have to overcome Rick Scott, who has a seen approval ratings of 60% and currently holds a 3% lead in midterm polling, the unsubstantiated claims of Russia meddling in Florida could shine a light on post-November voting drama as the Democrat could use the claim to discredit his opponent if re-election fails. Also, consider that the Mueller investigation after a year has failed to substantiate the claims that Russia interfered in the 2016 presidential election, a claim that is still being used by Democrats and their media complex to discredit President Trump. Flordia turned red to support Trump in 2016, and current polls show that the current president has a 50% approval rating within the state and 50% nationwide.